Ocean Galleries will debut a rare collection of museum quality artwork in Stone Harbor, New Jersey (9618 Third Avenue/609.368.7777) over the Fourth of July holiday week. 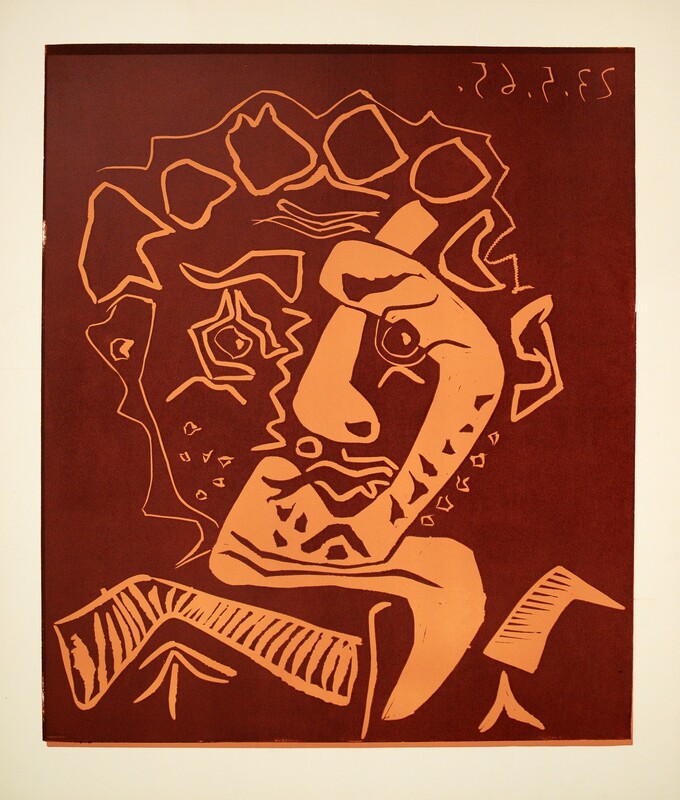 The “Modern Masters” exhibition will feature more than 60 pieces of artwork by four iconic twentieth century artists: Pablo Picasso, Marc Chagall, Salvador Dalí, and Joan Miró. 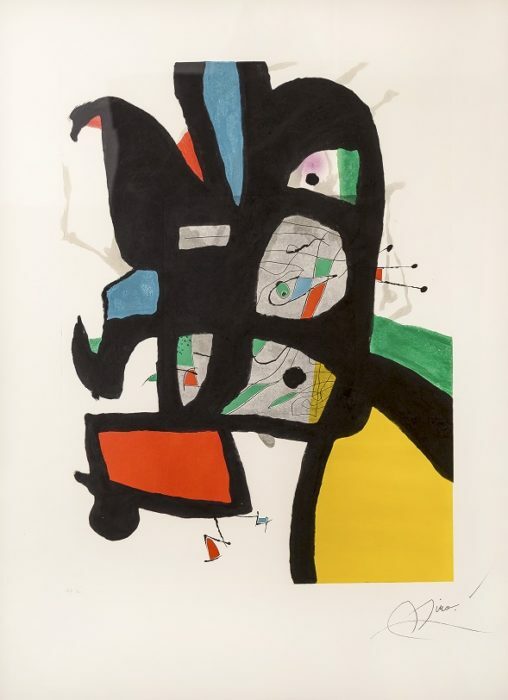 “Modern Masters: Picasso, Chagall, Dalí, and Miró” will open at Ocean Galleries on Friday, June 29 and remain in Stone Harbor through Sunday, July 8, 2018. For those looking to admire and acquire art during this unique exhibition, the gallery will host curatorial receptions from 7:00 PM to 10:00 PM on Friday, June 29, Saturday, June 30, and Sunday, July 1. The collection will be on display daily from 10:00 AM to 10:00 PM with all artwork available for acquisition. While the exhibit includes many noteworthy pieces, Walsh remarks that there are two exceptional pieces that deserve special attention: “Le Christ au Village” by Marc Chagall and “Le Danseur (Tête d’Histrion)” by Pablo Picasso. 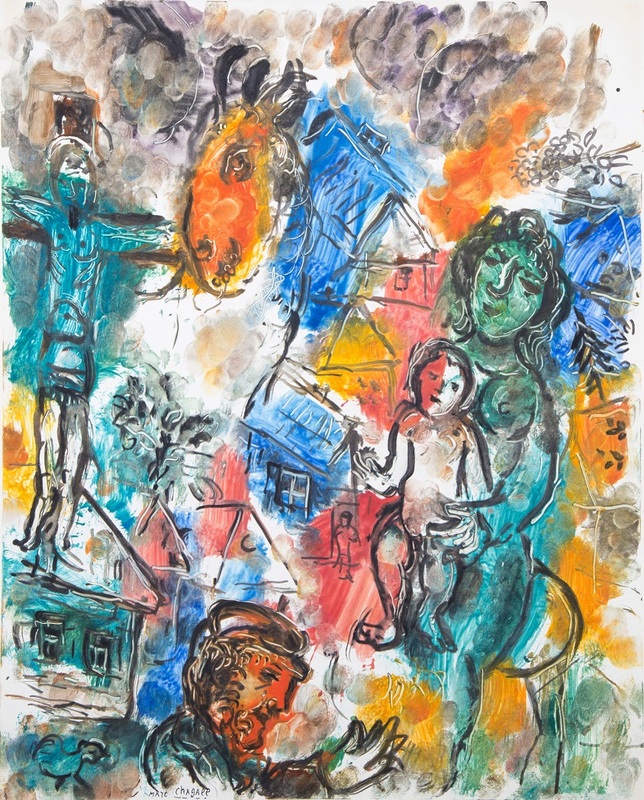 “Le Christ au Village” by Marc Chagall is a monotype, which is a unique work of art from 1966, a period of great creative inspiration for him. The image is a complex montage of symbols from his personal life and religious iconography, complimented by an extraordinary palette of colors. There are references to “mother and child”, which has sentimental and religious meaning to Chagall; animals, which he incorporated in many of his works as a reminder of his village in Vitebsk; and a crucifix, which symbolized the plight of the Jewish people. His signature use of color, floating independently of the lines, is masterful. In addition to these two important works by Chagall and Picasso, guests will enjoy more than 60 other pieces of art by Chagall, Picasso, Dalí, and Miró from the 1930s through the 1970s, including original drawings, etchings, lithographs, and linocuts, all in pristine condition with archival conservation framing. The “Modern Masters: Picasso, Chagall, Dalí, and Miró” exhibition opens on Friday, June 29 and runs through Sunday, July 8, 2018, with daily hours from 10:00 AM to 10:00 PM. Collectors can learn about the artists and the showcased art during curatorial receptions with Ms. Walsh taking place from 7:00 PM to 10:00 PM on Friday, June 29, Saturday, June 30, and Sunday, July 1. The exhibition and receptions are open to the public, with all artwork available for acquisition.